Wow, it’s been one hell of a year. With 2019 quickly approaching, what better way to ring in the new year than by reminiscing on the most shocking and dramatic celebrity breakups of 2018? I think we can all agree that Ariana Grande and Pete Davidson’s split was a major topic of conversation, so I won’t bore you with another article detailing their failed relationship. Instead, here is a list of the most newsworthy celebrity breakups in 2018 that you probably have forgotten about. 2. Becca Kufrin & Arie Luyendyk, Jr. The. Most. Dramatic. Breakup. EVER. Not just of 2018. For those of you who may have forgotten (not sure how, though) Arie ended his engagement with Becca ON NATIONAL TV. TBH this seems like years ago, but the episode aired in March and it is hands down one of the most uncomfortable things you’ll ever watch. This celebrity on-again, off-again couple was harder to keep up with than Kanye’s different scandals. After briefly rekindling their relationship at the end of 2017, Justin and Selena broke it off again in May. Bieber and Gomez won’t be getting back together anytime soon (we hope) since Bieber married Hailey Baldwin in September. But TBH, that relationship is difficult enough to follow along with. This one broke my heart. 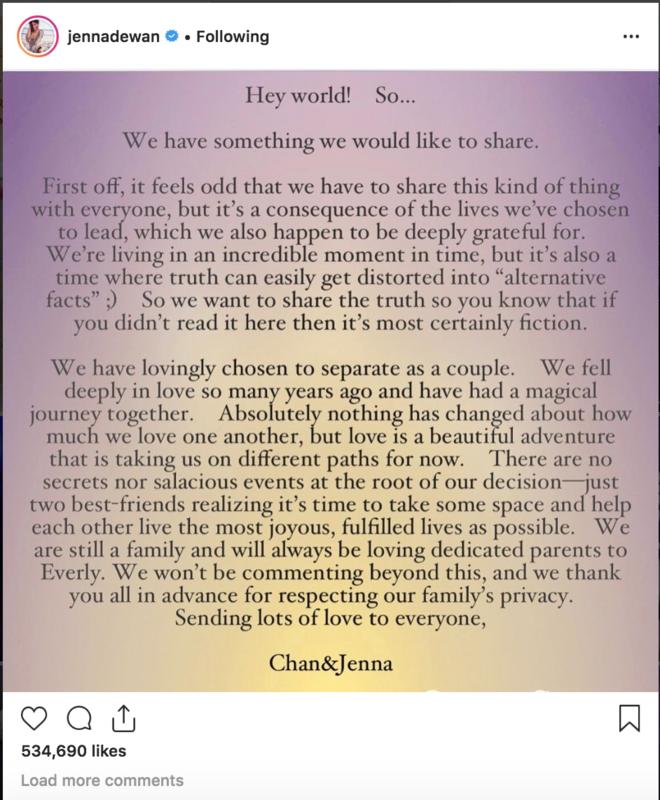 The gorgeous couple released a joint statement on Instagram in early April to announce one of the most unexpected and sad celebrity breakups of 2018. Kourtney has garnered quite the reputation when it comes to her relationships. Whether it’s drama surrounding her baby daddy, Scott Disick, or she’s dating younger men, like Younes, Kourtney continues to be a hot topic. Kourt and Younes split in August. But don’t fret, she’s already moved on to younger better things aka Luka Sabbat. After three years of marriage and one month before their anniversary, the couple unexpectedly split. Mathews said, “My wife filed for divorce, it’s true…I don’t blame her. There’s no cheating or any dumb sh*t or any juicy details.” For once, no dramatic fights following this couple. But nonetheless, it’s one of the most shocking splits on the list. @Snooki, I’m hoping you are getting Jersey Shore drunk with your girl to help her heal. After getting back together (again) in the summer, the couple called it quits “for good” in October. Now, you may be thinking “Nah, they’ll def get back together. They always do.” I’m afraid not. They unfollowed each other on Instagram. It’s pretty much official. Ah. Another Bachelor(ette) couple that didn’t last. But this one is v raw and I’m still in mourning. The two, unfortunately, broke up in October. Of course, their public statement was BS heartfelt. It includes the classic, “Even though we are parting as a couple, we’re very much committed to remaining friends.” Read the full statement here.